I’m back with another review. 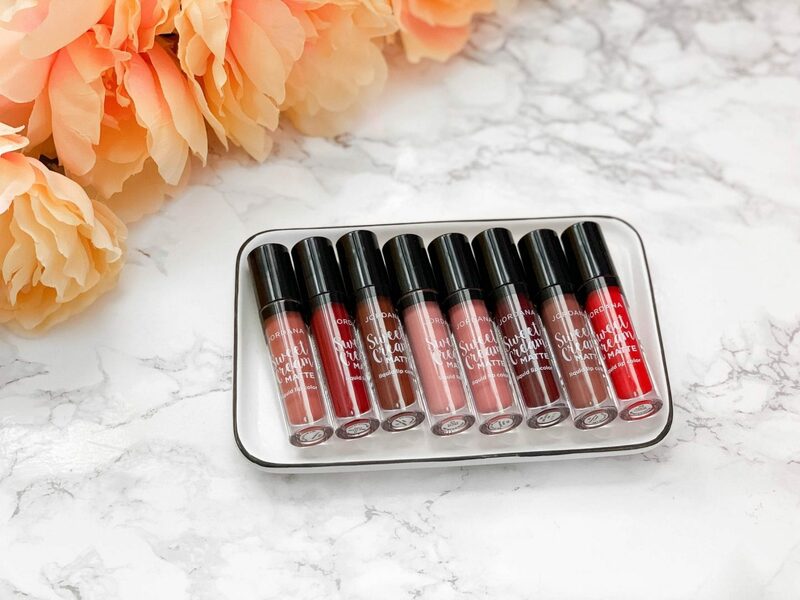 A few weeks ago I was sent the Jordana Cosmetics Sweet Cream matte liquid lipsticks along with their lip liners and gloss. But today I am here to talk to you about their Jordana Sweet Cream lipsticks. You guys know I am a fan of matte lipsticks especially liquid lipsticks because I’m not a gloss girl. I love having that matte lips. I’ve never really used Jordana Cosmetics before, so they are NEW TO ME. I know they’ve been around for a while. 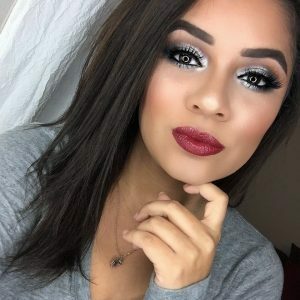 From doing research, it looks like Jordana Cosmetics is sold at Walgreens but you can check on their site to see what other stores actually sell them. I don’t ever shop at Walgreens for beauty, I don’t even remember the last time I was in a Walgreens to shop for anything other than picking up my medicine. 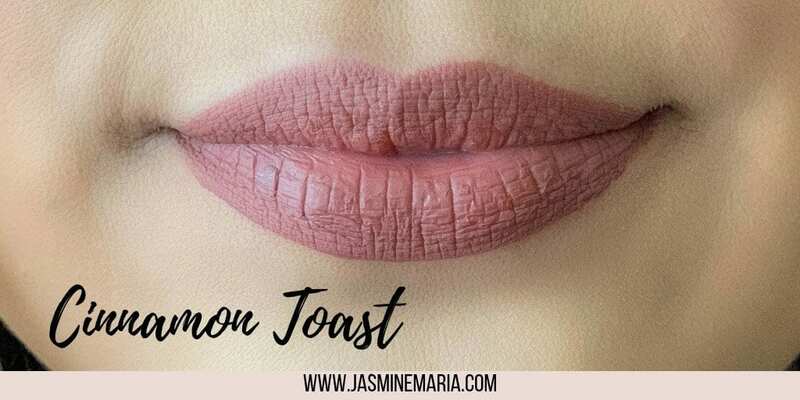 But now I have a reason to go because I have been loving the Jordana Cosmetics Sweet Cream matte liquid lipsticks. I also noticed that the brand is VERY affordable. 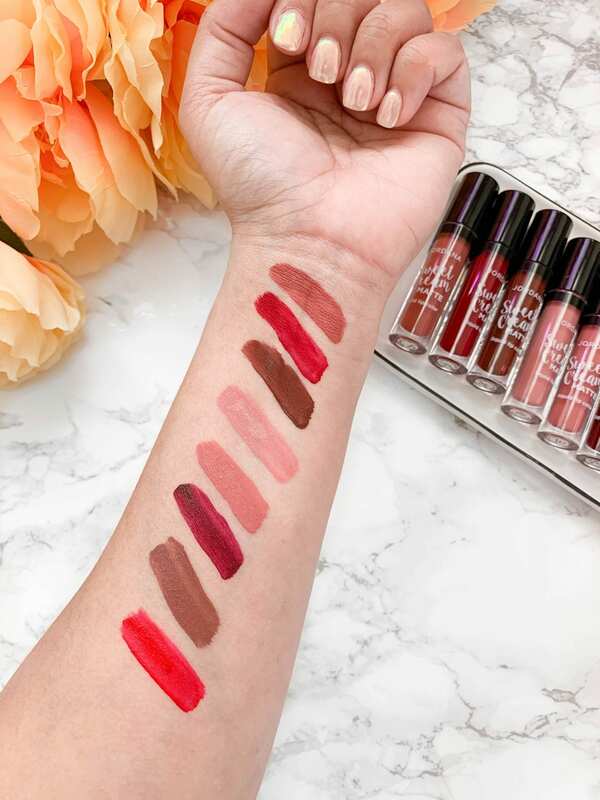 These liquid lipsticks are only $4.99. 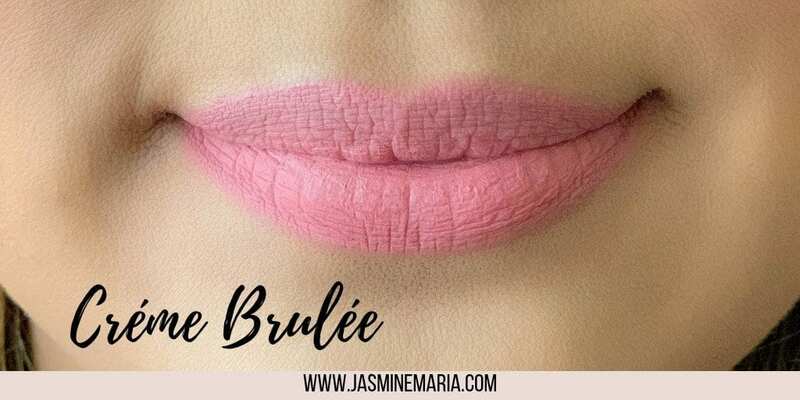 Tip: If you’re someone with dry lips but love rockin’ a matte liquid lipstick, apply a lip balm or cocoa butter before applying the liquid lipstick. 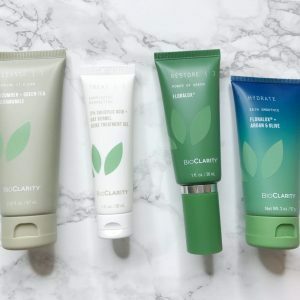 This will help keep your lips moisturized. 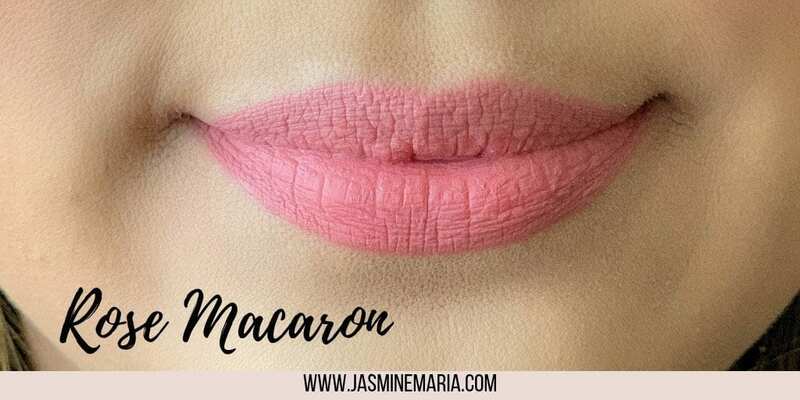 When I applied the Sweet Cream matte liquid lipstick, I noticed that each of the lipstick smells like vanilla or some type of sweet dessert. I couldn’t put my finger on it, to be honest. Personally, for me, I didn’t mind it at all. 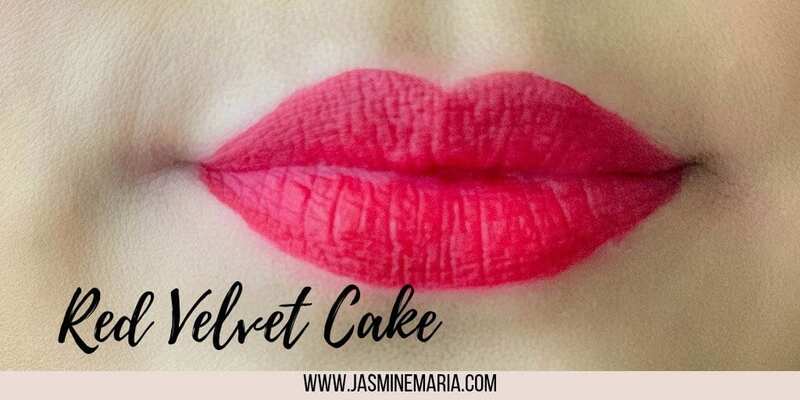 Each of the liquid lipstick is named after a dessert. The Sweet Cream starts off as a liquid and melts into a velvety matte finish. 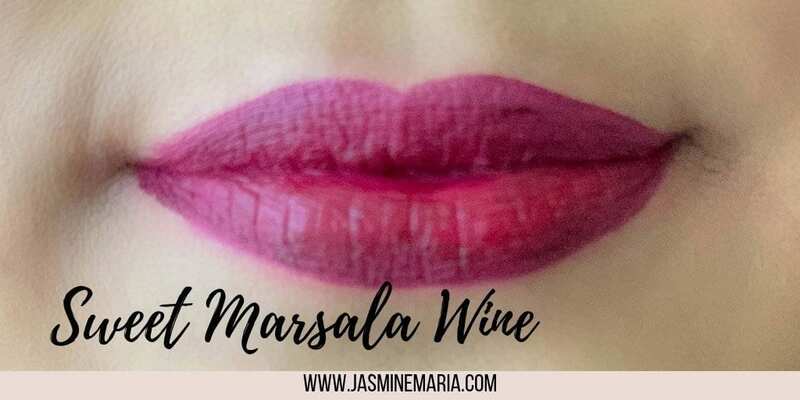 It’s infused with Vitamin A and it’s lightweight on the lips, which was shocking to me because most matte liquid lipsticks feel sort of heavy on the lips. They claim that the liquid lipsticks last up to 16-hours, I only tested it out for 8 hours. Does not budge at all. I didn’t have to reapply at all. I did have some issues with Sweet Marsala Wine. I’m sure you can see that the colors didn’t apply so well. I had to apply like 2 layers in order for the color not to look so patchy. 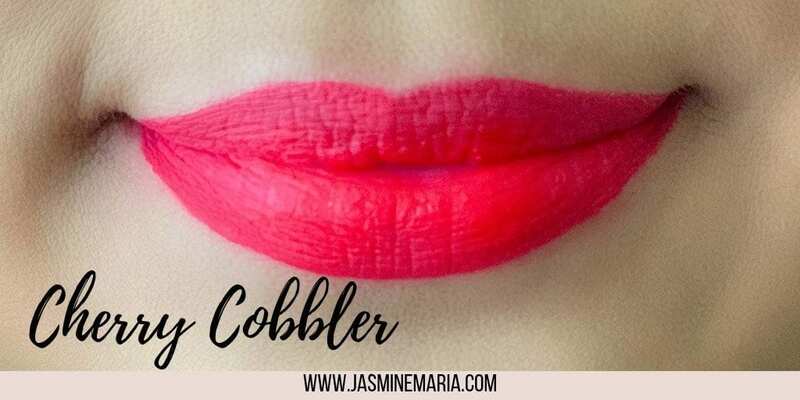 Even though that 1 color did apply patchy, I do recommend these if you’re someone who loves matte liquid lipsticks, they sort of remind me of the Dose of Colors liquid lipsticks. And I love those lipsticks. You have such beautiful lips that all of these look perfect. The store that I used to buy Jordana at is no longer in business so I haven’t picked any up in a long time. Thank you. Hopefully, you can pick it up online. I am going to have to buy Cinnamon Toast. It’s so pretty. 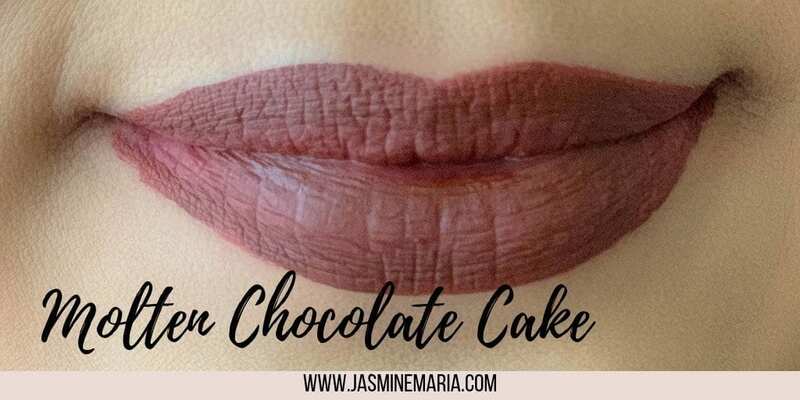 Molten Chocolate Cake is also a pretty shade. I will have to check out the Jordanna website. I’ve seen this brand before but never tried anything from it. Thank you for sharing your review with us! I love liquid lipstick. 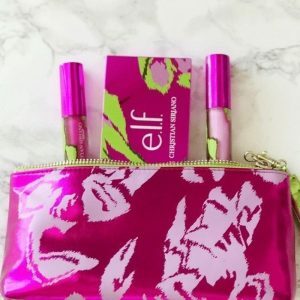 I haven’t heard of this brand before, but I love these colors! 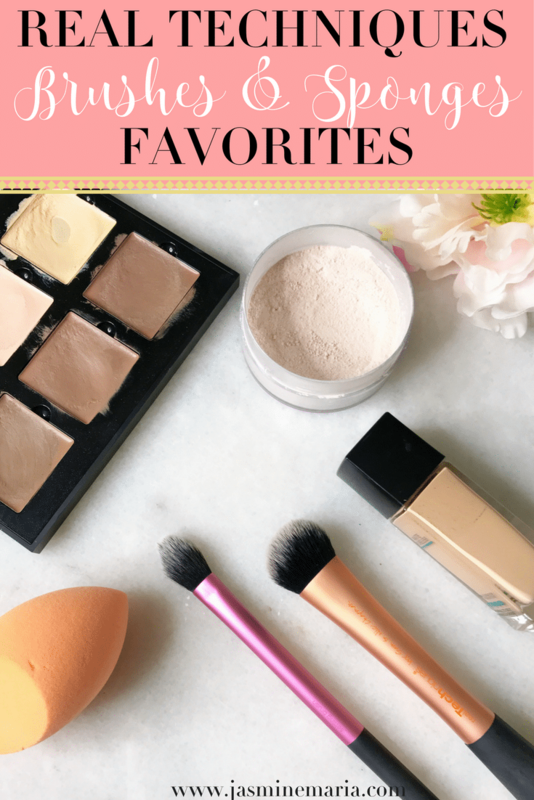 I especially like the Tiramisu shade, which I feel like is perfect for spring! So I am loving all of these shades!!! 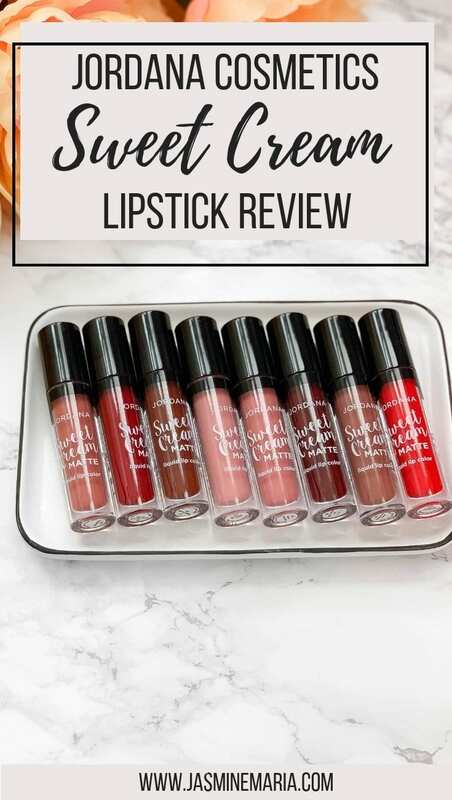 Liquid lipsticks have grown on me over the years, so I def need to check these out soon! You should! Plus you can’t beat that price. Very pretty shades! I prefer liquid lipsticks as well. It’s going to be perfect for spring.